Hey friends! I am excited to share with you a peek into my Journaling Bible. 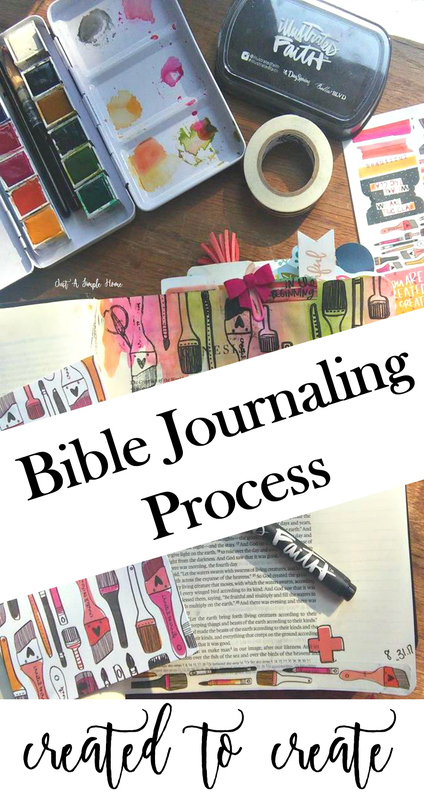 I have received so many questions on Instagram about my journaling process and I thought it would be helpful to share more detail about how I actually journal in my Bible…yes, I color in my Bible! For the month of September, I am working through the newest Illustrated Faith Devotional Kit, Created To Create 2. As you may have guessed, this kit was in response to so many people loving the first Created kit that they went ahead and created a follow up devotional kit. If you want a peek at what is included in this kit, you can check that out HERE. I was given this devotional kit and watercolor set by Illustrated Faith so I could review for you all. This post does contain affiliate links. For this entry, I used the watercolor set from Illustrated Faith along with the contents of the Created To Create Kit. I am really enjoying the devotional this month…can I say I am even having fun with it?! It is really giving me permission to let go of perfection and embrace the creativity that God has given me. These watercolors are wonderful so far! They are very pigmented, so a little goes a long way. You can use the tin to mix and match colors and then even save those colors for future use, which I find so helpful. You just need to reactivate the color with a little water later, and you are all set. 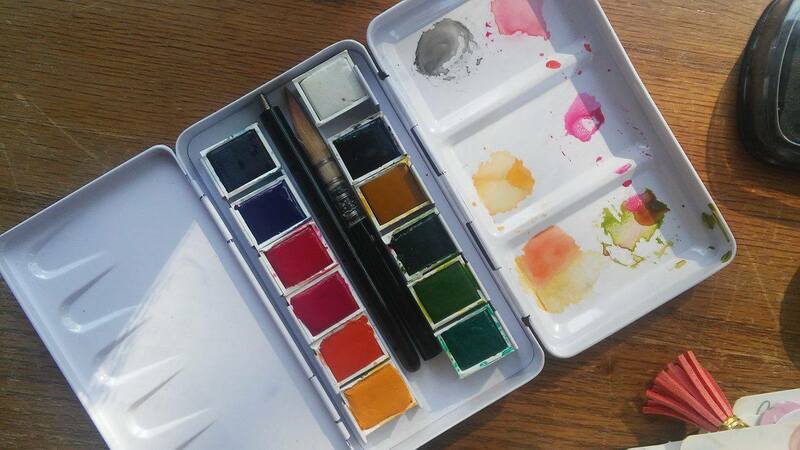 You may not notice, but this watercolor set is relatively small, so it will be perfect to take with me when I am traveling over the holidays. How perfect that the Bible starts out with these words! God is CREATOR of ALL things. And since He made us in HIS image… WE are created to create! It may look differently for each one of us…some may be creative with words, some with paint, some with decorating a home and some with cooking amazing meals. Whatever creativity you may have inside you, I encourage you to embrace it! Let go of perfection and just enjoy your creativity. I would love to hear about it if you are willing to share! Don’t forget to grab your own Created to Create 2 kit HERE. It’s not too late to start and I have a feeling you will love it. The price has been lowered and it is not a subscription service, so you can just grab the new kit anytime you want. Hope you enjoy creating! If you are curious about my favorite Bible Journaling supplies….you can check those out in my SHOP! I think this is so enticing! I have been wanting to buy a new Bible but have been holding back until I find the perfect one; a creative Bible seems so enjoyable and purposeful. Thanks for sharing the cute video. Do you think the Bible will hold up for several years? I’ll be back for more posts! Hi Frannie! It is really enjoyable… I do think the Bible will hold up for years, but…it will get full! I have a feeling this one will last me about a year until it is too full to journal in. I don’t mind that, though. I think it may be really meaningful to have a new Journaling Bible each year- a great way to document my faith journey.